Discover the Indian Pueblo Cultural Center! Home / Pueblo Culture / Discover the Indian Pueblo Cultural Center! At Palms Trading Company, we are dedicated to sharing the beauty and culture of Native American Indian tribes in New Mexico. We greatly respect these cultures, their traditions and practices, and we want to help that respect and understanding grow. One place to do that? The Indian Pueblo Cultural Center. Whether you’re a New Mexico resident or you’re a visitor from out-of-town, have you discovered the Indian Pueblo Cultural Center yet? The Indian Pueblo Cultural Center, owned and run by the 19 pueblos of New Mexico, is non-profit organization that opened in 1976 to showcase and preserve the art, culture and history of the pueblo peoples. The center itself is newly built and features a museum of history and artifacts of the Pueblo cultures as well as exhibits of contemporary art. These permanent exhibits highlight creativity and adaptation that enables the survival, diversity and achievements of each Pueblo. The Indian Pueblo Cultural Center is located not far from Downtown Albuquerque, Old Town and other sites such as the Albuquerque Aquarium and Botanical Gardens. The physical address is 2401 12th Street NW, Albuquerque, NM 87104. The Indian Pueblo Cultural Center has so much to share! Their exhibits of the history, culture and contemporary arts are permanent. You can also find rotating exhibits that often feature the work of contemporary Pueblo artists. 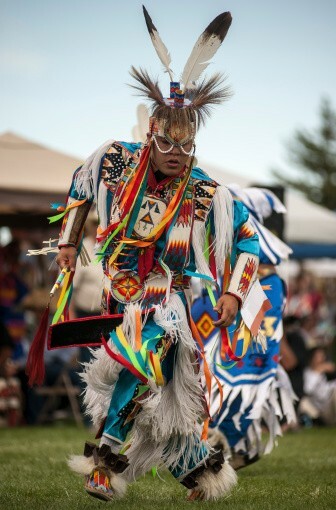 For more information, you can visit the Indian Pueblo Cultural Center website. There, you’ll also be able to find information about each of the 19 pueblos as well as visiting etiquette. You can give them a call at 505-843-7270 or toll free at 1-866-855-7902. It’s a wonderful place to visit, explore and learn about the rich culture and history of the Pueblos of New Mexico.